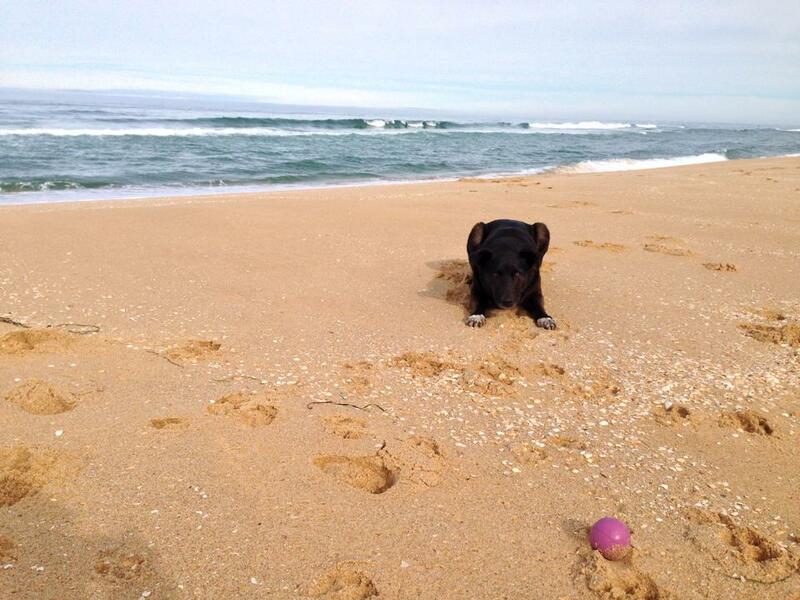 Travelling Australia with a Dog. When we first made the decision to sell everything and do the big lap of Australia, we had so many things to consider, pets being one of the most obvious. We wondered about travelling Australia with a dog and if it would be possible to take our mate with us. Our dog, Yoshi is a Kelpie x Koolie, who happens to think he is human, and about the size of a maltese terrier. I know this because he has been know to try and curl up on the lap of his unsuspecting parents, and believes that whatever is cooked for everyone else should also be on his menu. So, we couldn’t let Yoshi in on the fact that he’s really a dog, that would have broken his heart, the only solution was to bring him along with us of course! Our cat, lives with my brother and sister in law and their children, and I’ll be seeing him for the first time in 5 months soon, and upon my return I expect to be utterly ignored for the first 24 hours so he can prove to me how much he resents me for leaving him, and how much he loves his new mum (my sister in law), but I know I’ll win out in the end, he loves his mum and knows she feels guilty for leaving him, but she also knows he’s in safe hands (thanks Jo). So, back to travelling Australia with a dog. Let’s take a look at how that works for us, and hopefully answer any questions you have. I remember reading the travel blogs of other people before we hit the road. I could see they were travelling with dogs, but they didn’t give specifics of HOW they were making it work. I wondered about the ins and outs of having a dog with you every day. Where do we leave the dog while we do short activities? We are really lucky that Yoshi is a very well behaved boy who listens to instructions and is quite happy to sit and wait for us wherever it is he needs to be. When we do small trips, to the shops or into attractions that don’t take long to see, then we generally put him on a lead and leave him tied somewhere safe with a bowl of water and dog food. Sometimes that means tying him to the car, sometimes that means a nice shady spot out the front of side of the venue. It’s always somewhere safe and he knows when we tell him to “be a good boy we’ll be back” that his time siting there waiting for us will be short lived. TIP: Now we’re on the road full time, we rarely go into big shopping centres or other retail centres, purely because we have little need for what they offer and such limited space, that retail therapy isn’t an option. We also shop once a week for supplies, so generally we’ll visit the grocery store and that will be it. I find that before we were on the road, we were a lot more busy with things like shopping and it would have been hard to always have a dog with us, now, our lifestyle looks much different, and we’re generally out exploring nature, and he’s right along beside us. Where do we leave the dog for longer activities? Kennels: While we don’t like kenneling Yoshi, because we know he misses us, but sometimes there’s just no other option, and at least we have peace of mind knowing he’s safe. We’ve written before about how to find a good kennel for your dog, and luckily we’ve had a couple of options to choose from when we’ve needed to leave him overnight and we’ve always gone with our instinct on good places to leave him. If you free camp a lot like us, then kenneling can be more expensive than your own accommodation, in fact, in our 3 months in Tasmania, we spent more on boarding for Yoshi than we did on our own accommodation. 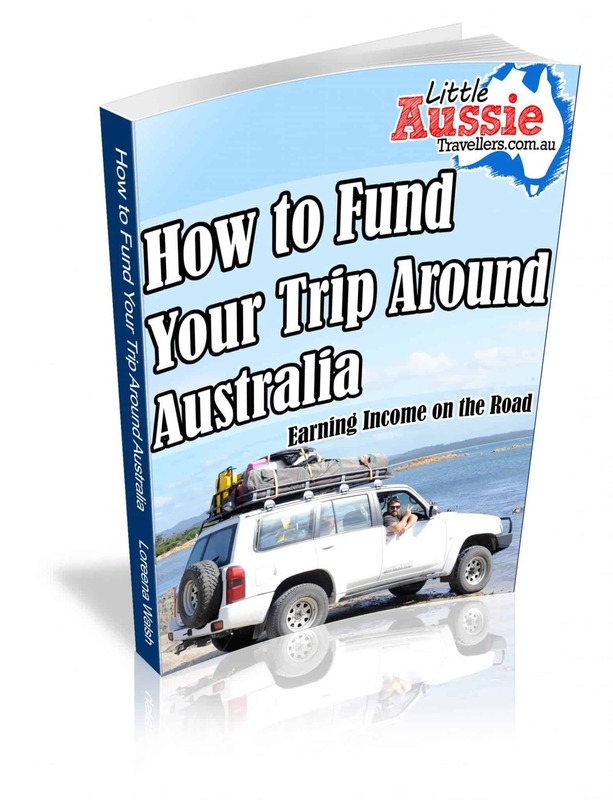 Be flexible, be sensible and know that it’s going to be part of your travel expenses. We see it as a small price to pay for having him with us to share the journey. Exchange Pet Sitting: When we were camped near Freycinet National Park in Tasmania, we were so close and yet so far. We knew we couldn’t go into the National Park with Yoshi, and yet, we knew that it was probably the only chance we’d get to see Wineglass Bay during our Tassie trip. Luckily for us, a lovely couple offered to watch Yoshi for a few hours so we could do the trek to the Wineglass Bay lookout. In return for their kindness, Matt gave them both a haircut, so it was a lovely way to say thanks for their kindness. We’ve had other offers too, to watch him for us, and would do the same for other travellers if the need arises. We’ve also stayed at private low-cost camps, where there weren’t many people around and they’ve let us leave him at the van for a few hours so we could explore. Old Mac’s Farm near Launceston in Tassie was a great example of this. Vets: Quite often you’ll be able to get in touch with vets in the area who often allow you to leave your pet for a short term boarding visit if there’s no other options in the area. We haven’t done this with Yoshi, but we know of other travellers who have done so, it’s definitely worth making a phone call if there’s vets in the area and you have no other options available for pet sitting. Gumtree: Use Gumtree to do a search for people who offer pet sitting in the region you’re visiting. In some areas you’ll find pet sitters that will take care of your animals in their own home, just like a private boarding kennel option. As always, go with your gut feelings on this, but it’s worth a try. You’ll need to make sure you’re dog’s vaccinations are up to date in order to kennel them, and you also will need to be aware of any quarantine requirements (I think this really only applies to Tasmania which requires they have their Hydatid Tapeworm tablets within 14 days of visiting. Also, we advise keeping a collar and tag on your dog that has your mobile phone number on it. Microchip details are only valid in the state of registration for your animal as far as we’re aware, which means if you lose your dog, when it’s found, it might not be as easy to reunite them with you as it would be at home. The real truth is, that while we wouldn’t change travelling with our dog at all, it does mean we need to be flexible and mindful of our choices. The honesty of the situation is that we do sometimes have to miss out on some National Parks or Conservation areas that don’t allow dogs, and while there’s an ever growing number of caravan parks and free camp sites that allow dogs to stay, it does sometimes limit our options. If you decide to travel with your pet, you need to be OK with the fact that you might need to re-arrange entire sections of your travels in order to accommodate them. We are on an open ended trip, so we have time and no real schedule. If you’re on a shorter trip, with limited time, it might be much harder to work around having your dog with you. When we decided to do a cruise on the Arthur River for example, we left Yoshi in a kennel that meant we travelled an extra 80km’s or so to come back and get him. But the cruise was definitely worth it, and was something we didn’t want to miss out on. We wouldn’t change having our boy with us, he’s a part of our family and he’s relatively easy to travel with, he loves exploring, and he’s a really big fetch addict who makes us lots of new friends no matter where we are, with his big, brown puppy dog eyes sooking at everyone within reach to ppplllleeeeaasssseeeee throw his stick. There’s something special about taking your dog with you, isn’t there?! Unfortunately, a lot of the national parks have 1080 bait – it pays to be very careful where you let your dog off the leash! We are planning a one to two month trip at this stage with a cat and a small dog. Has anyone any hints, ideas, things that we need to be mindful of please? Both are inside pets and we are getting a caravan. We’ve met people travelling with cats, although we chose not to bring ours with us due to the extra difficulties it would cause as I think it would have stressed him out too much. I think one of the most difficult thing is not being able to leave pets alone with your van, which is stipulated by all caravan parks, and if you do, then the heat can be a major issue, unless you have air conditioning, but then there’s the factor of air conditioning failing etc. National parks are a no-no with domesticated pets of any kind, we work around that by kenneling Yoshi, so you’d need to allow for 2 sets of fees if you had a cat and a dog. I think how well they travel would be your greatest consideration, and car travel for the cat would mean being confined to a cat-cage so long stretches may not be very comfortable. Let us know how you go.